Before sharing my Best of 2012 post for inclusion with the Kid Blogger Network Best of 2012 Blog Hop, I have to say that blogging in 2012 was a Best of experience for me personally for the year. 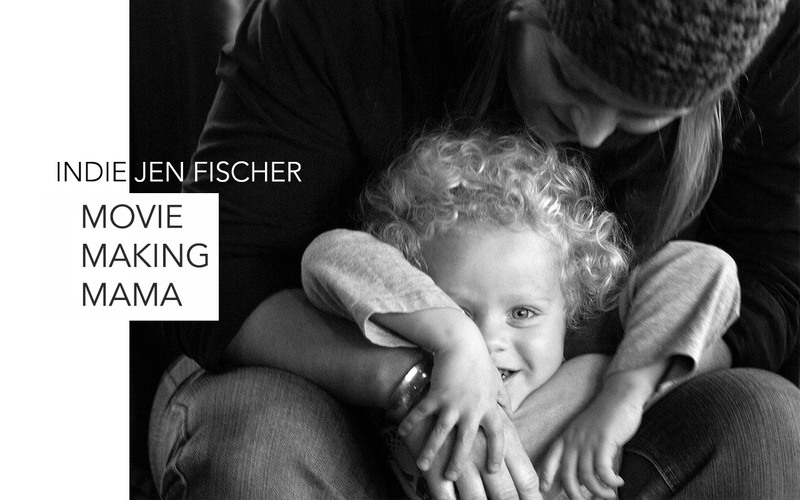 Though I have had this blog for more than 5 years (my brother set it up for me when I was training for a 30 mile run for my 30th birthday), after the run it set largely idle until February of 2012 when I discovered other Kid/Mom Blogs and realized the value in finding my voice as a writer, educator, artist and mother. 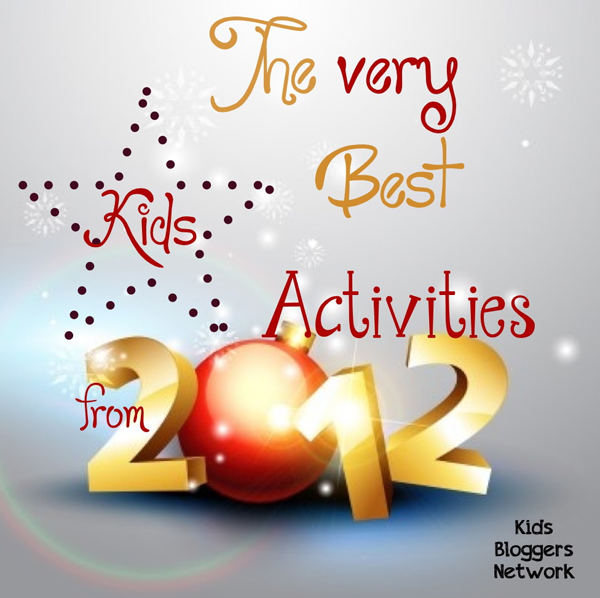 Sharing my best post of 2012 as part of the Kid Blogger Network makes me smile as it represents the supportive parenting and writing community I have found online through KBN and the creativity and intentional/awake parenting that, already a goal for me, became further encouraged and supported through the virtual community I discovered. The post I have chosen as my Best of 2012 is my second most popular of the year (though not posted until late in the year), the post that received the most comments, many repins, and a post that I love because of how much we gained as a family from the activity shared in the post: Daily Gratitude Postcards (for the month of November as part of our participation in 21 Days of Gratitude from Inspired by Family Magazine). Not only did this daily practice of gratitude benefit Wild Thing, my 3 year-old, in understanding the value of gratitude and of being thankful, but it helped me to have a mindset focused on seeing all there is to be grateful for in our lives, a habit that extended beyond the 21 Days. As another bonus, the daily gratitude postcards also proved to be a great activity for early literacy with Wild Thing, who learned how to spell Dad through the process of making postcards for his father. (I love activities that provide learning opportunities through real life practice and this is certainly one of my favorites in that category). 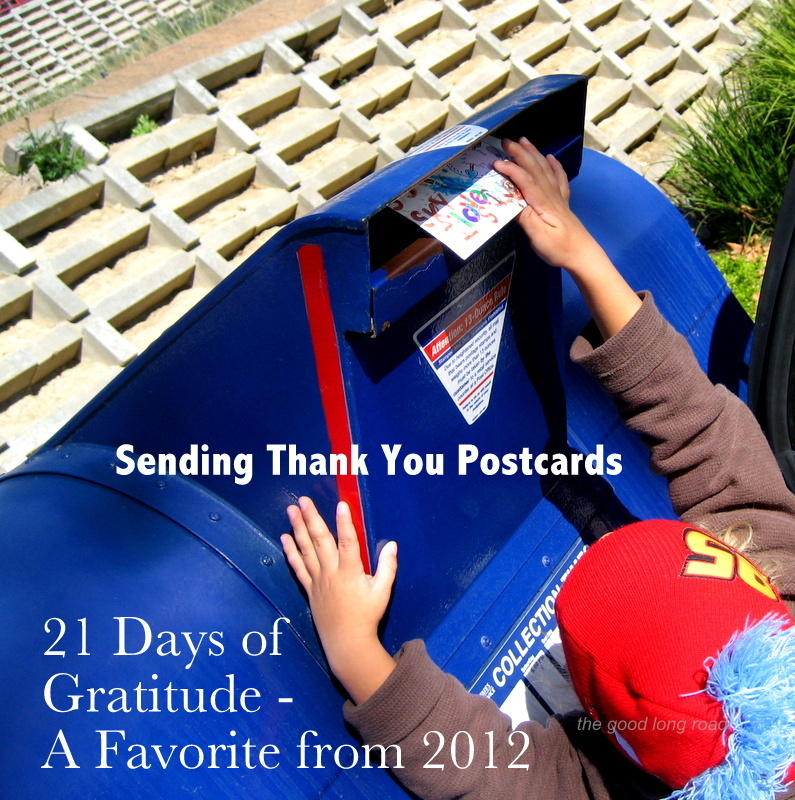 I invite and encourage you to consider picking up some of these pre-stamped blank postcards the next time you are at the post office and making gratitude postcards a habit/practice for your family - it could be a weekly or monthly activity encouraging you as a family to look back at the previous week or month and send notes of gratitude based on something special from that week, or they could be a great way to say thank you to relatives and friends for holiday gifts. In short, this is the Best of 2012 for me because it instilled in me a very positive habit to carry into 2013. 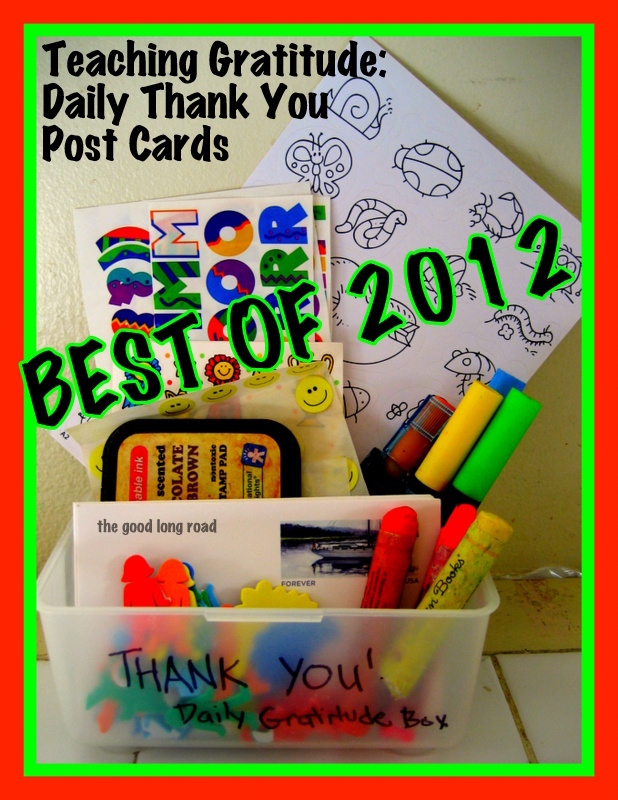 Please enjoy checking out the Best of from many other KBN bloggers, all of whom I am grateful for! Here is the wonderful list of co-hosts for this special blog hop! I love this ... just a simple blank postcard to remember what you are thankful for. Such a great teaching tool for your kids to realize it's all about your attitude! And taking time to be thankful. Thank you so much for sharing this idea! I've gone three times to our post office and they've been out but we finally got them to send out this new year, it's one of our goals. It's been a delight to get to know you through your blog this year, can't wait to see what 2013 brings to you. I am continuously amazed by how this activity 21 Days impacted many people including our family. It was much needed at the time in our life. Wow so you ran 30 miles on your b-day. Amazing! All in one shot? I can't even fathom and I love running.